Buy term paper or order term paper writing with EvoEssay.com! First, please allow us to thank you for visiting EvoУssay.com, and for your interest in our custom term papers. What brings you here? We have college students visit us for a variety of reasons. Some of them come to us because writing their custom term paper is interfering with them spending time with their family and other loved ones. Others visit us because they have work obligations that make it difficult to do the research and other needed to complete their paper on time. Still other students come to us for help when they are having difficulty grasping the subject matter, and don't want to suffer the effects of a bad grade. No matter what reasons you have for your interest in EvoEssay.com, please remember there is no judgment here, only our desire to help you with your academic needs. Please keep reading to learn more about our term paper writing services, how we will be able to help you, and how to get started. It is only when all of these criteria are met that we deliver your term paper to you. When your term paper is ready, we will contact you. When this happens, you will be able to log into your secured customer account and review the finished paper. If you are completely satisfied, all you need to do is download your paper. For your convenience, we make it possible to download your paper as a Word document, text file, XML file, or PDF document. If you are not satisfied with your paper, you will be able to indicate that is the case, and provide revision instructions. 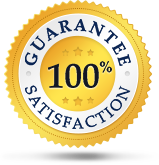 We will then immediately begin working on your revisions for free, until you are completely satisfied. We realize that this seems to be a long and involved process, but all of this can take place in as little as twelve hours. As a matter of fact, it is quite rare for us to take more than thirty six hours to complete the term paper writing process from beginning to end. Is it Risky to Buy Term Paper or Other Documents Online? Students just like yourself have been using our services for years. They keep coming back, because they know that they can trust us to deliver quality papers, and to operate in an ethical manner. If you have ever been burned by a bad experience with another writing service, please don't let that stop us from helping you. We guarantee that you will be pleasantly surprised with your experience. If I Want EvoEssay.com to Write My Term Paper, Where do I Begin? Will my writer know how long my term paper should be? Have I included the citation format that the writer should use? Do I need a title page, bibliography, rough draft, or other extra items? Do I have any specific research sources that must be used? Do I have a thesis statement, or should I allow the writer to determine that for themselves? When I entered the deadline date, did I leave time for review and revisions? Have I omitted any relevant instructions or information? Thank you once again for visiting EvoEssay.com with your interest in our term paper writing services. We are truly the company that cares when it comes to your academic success. Whether it is today, or in the future, we would love to have the opportunity to help you with any of your writing needs. Do not hesitate to contact our customer service staff members with any and all questions you have. They are eager to help you 24 hours a day. We wish you the best of luck and much success.